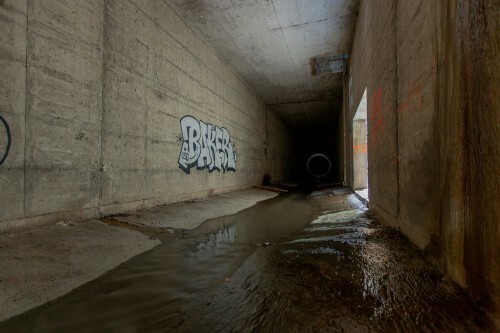 The existence of this storm drain, even if one had never laid eyes on the outfall, is not particularly hidden. 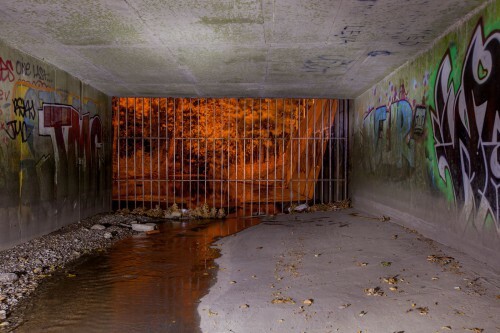 A greenway stretches above it for the majority of it&apos;s length, marking the way that Wilket Creek once flowed across the surface of North York. 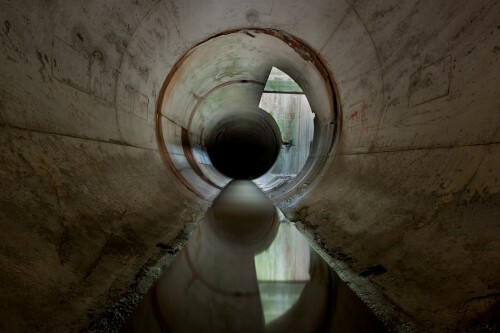 And much like many streams in Toronto, Wilket Creek was unceremoniously buried into unseen conduits beneath the ground; now part of the urban infrastructure. 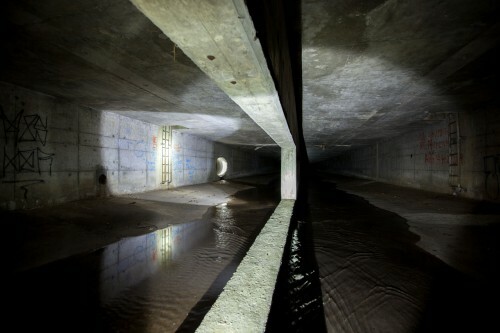 What makes this drain different from other drains in Toronto, however, is the grand size of the drain itself. 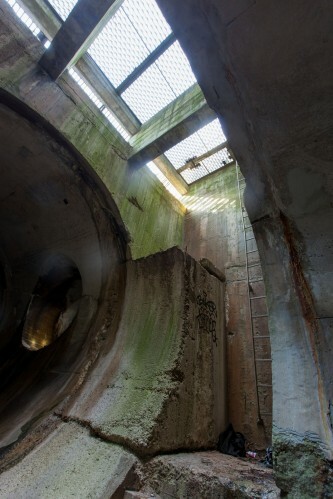 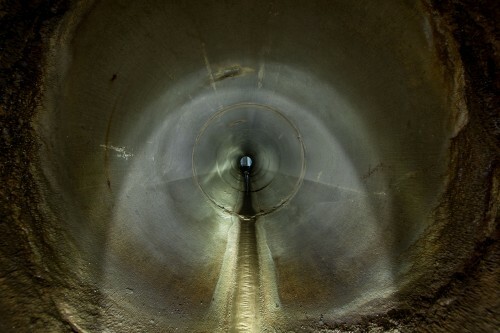 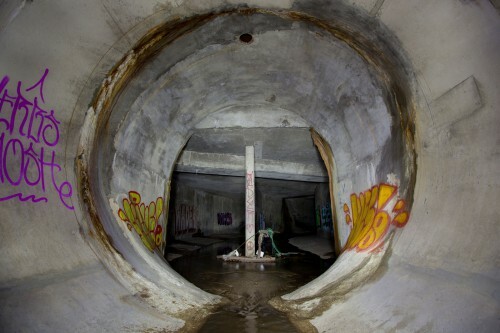 Dubbed Gargantua by the first drainers, it lives up to that name, with concrete pipes that expand to over four metres in diameter, putting it on the same scale as the Mountain Juggernaut in Hamilton. 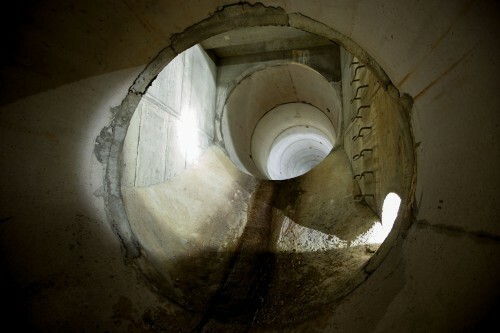 Unlike the Juggernaut, though, whatever water flows Gargantua was designed for, it fails to see. 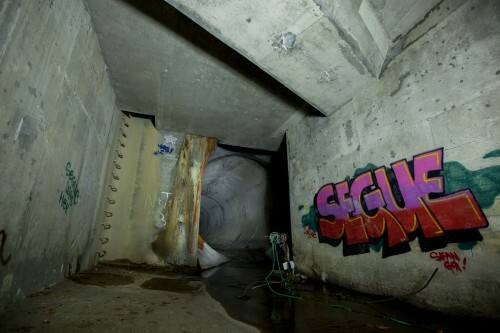 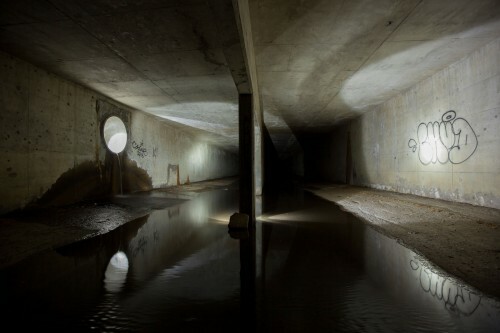 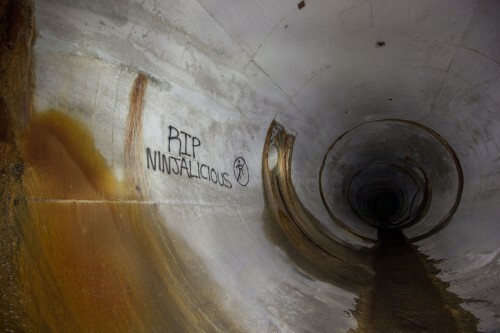 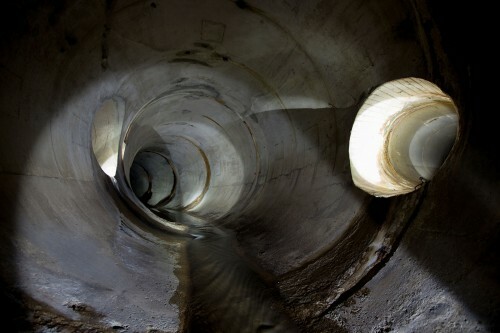 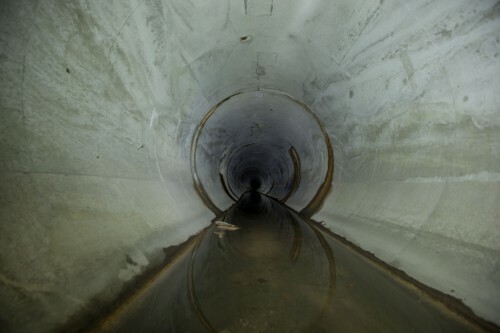 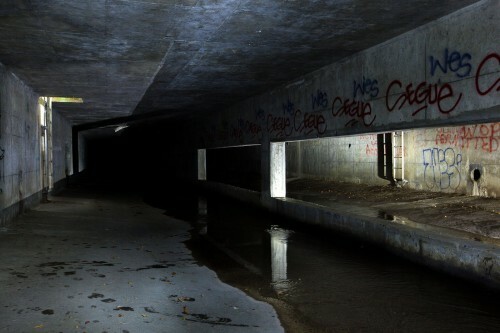 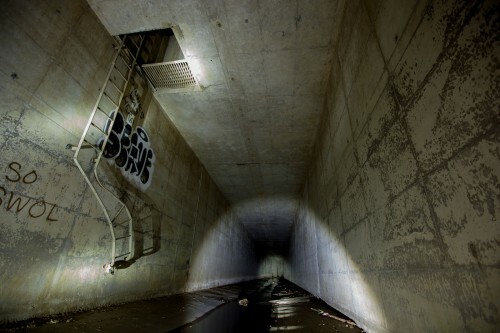 We went the day after a heavy rainstorm had swept through Toronto, and even with the high water marks visible, the flow had barely taken up any space in the mammoth tunnels. 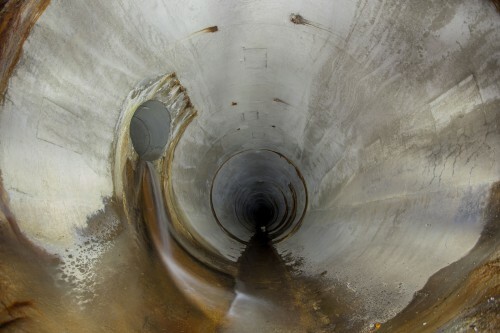 Unfortunately, being a 1970&apos;s drain, Gargantua is fairly plain along it&apos;s whopping six kilometre length, being punctuated in places with grates and backbreaking side pipes. 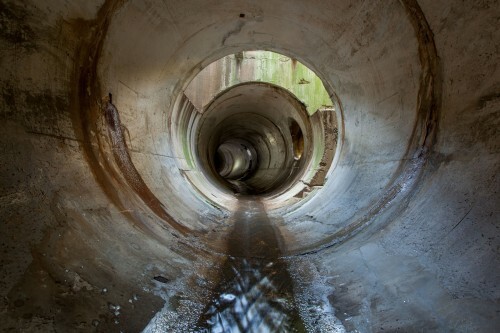 While picturesque in places, for the most part it was a boring concrete pipe. 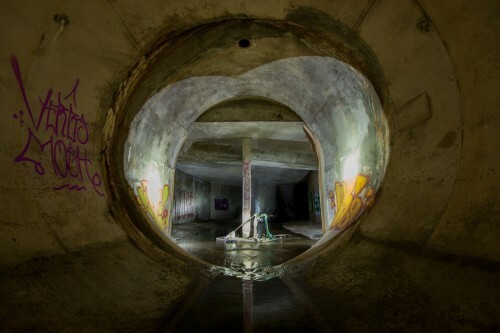 We did have some excitement though... while setting up one of the shots, a side pipe let forth a torrent of chlorinated water. 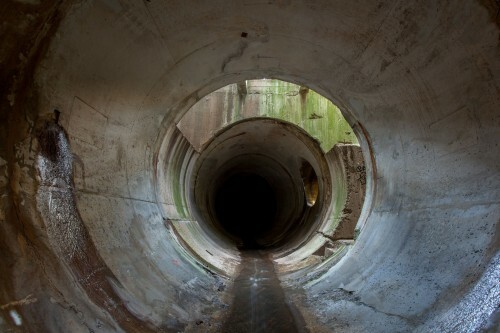 In the darkness, we had no idea what was happening, and if we were about to be swept away by the heavy sounding flow. 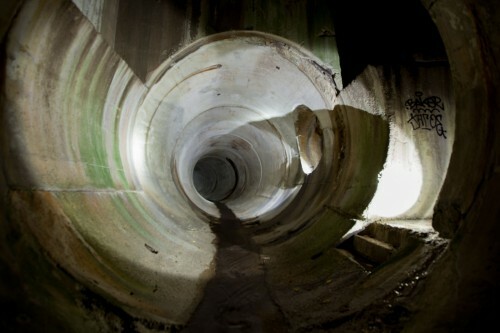 Obviously this wasn&apos;t the case, since I&apos;m writing about it, but it was definitely a panic-inducing moment!